Just five years ago, Victorian couple Ken and Dale Bottrell were living the grey nomad retiree dream, travelling the country and caravanning on various trips around Australia. Both ex-smokers in their 70s, the pair would ride their bikes everywhere on their holidays and by all accounts had a perfect life. Randomly during a trip to Cooktown in North Queensland, Dale started to notice changes in her armpit where lymph nodes typically swell when cancer has spread to certain parts of the body. 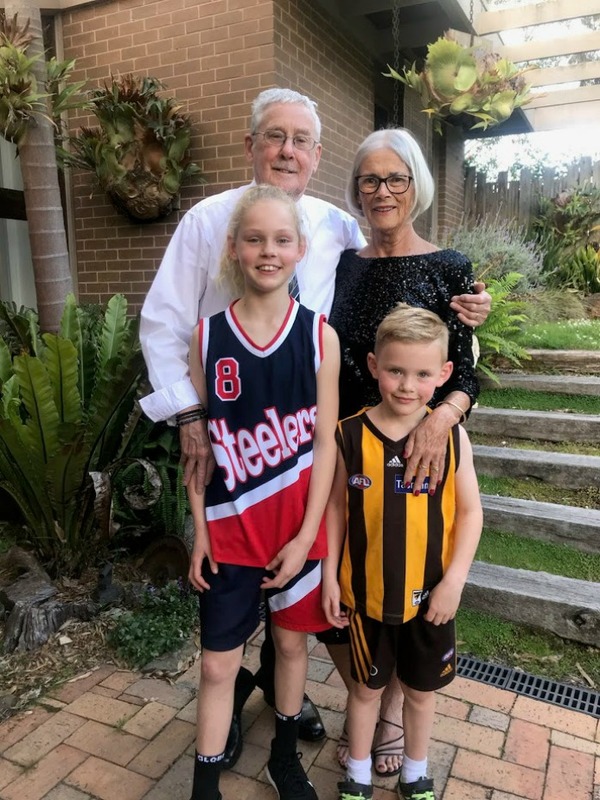 When they returned home, the couple’s doctor conducted a series of tests and soon confirmed Dale had stage four non-cell lung cancer, the most common type of lung cancer in Australia. She is one of the 12,741 Australians diagnosed with lung cancer in Australia annually, which remains the nation’s leading cause of cancer death even though it is only the fifth most commonly diagnosed cancer. Sadly, there are 268,200 people currently living with lung cancer and 9,198 people are expected to die from it this year alone. While smoking is a primary cause of lung cancer, it is something Dale and her husband gave up 16 years prior to Dale’s diagnosis. At present, 21 per cent of people living with lung cancer are life-long non-smokers, but that doesn’t stop people from telling Dale that she’s to blame for her cancer diagnosis. Ken said his wife also experiences stigma from health professionals, saying the smoking status question is “insensitive” and “quite stupid”. According to research from the Lung Foundation Australia, 30 per cent of people living with lung cancer blame themselves for their diagnosis, while one in 10 Aussies believe those with lung cancer “got what they deserved”, were “disgusting” or “filthy”. One in two Aussies think those with lung cancer currently smoke, while 90 per cent think smoking is the main risk factor in lung cancer. Other risk factors actually include exposure to toxic substances, pollution and a family history. Sadly because of this stigma, many people showing symptoms such as persistent coughs, breathlessness, chest pain and weight loss are reluctant to seek help. This is worrying because there’s already a lack of funding in lung cancer research and early diagnosis for successful treatment. Being involved in a lung cancer support group for four years, Ken explained that the life expectancy for people with lung cancer is quite short and there aren’t many people interested in raising awareness. 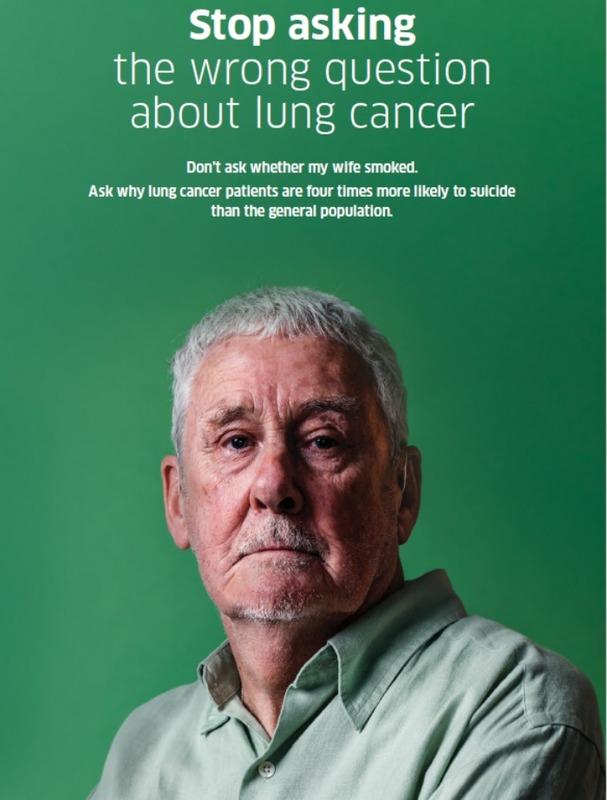 So, as part of Lung Cancer Australia’s latest campaign to stop lung cancer stigma, Ken and an array of other Aussies have shared their experiences with the public to change the nation’s attitude. Part of his message is to also let people know the impact the diagnosis has on the life of not only the person with cancer, but their partner and loved ones. In addition to major surgeries on her brain and spine, Dale has undergone countless treatments and radiation over the past five years. This has meant her and Ken’s life is now structured around Dale’s treatment. The pair still go on holidays, but must pick locations that have relevant hospital facilities or a flying doctor base in case Dale falls ill. All the surgery has also caught up with Dale, who is currently in hospital. She will remain there for several weeks to build her stamina and energy. It also impact’s Ken’s life. He now needs to think about every little thing he does and how it could impact his wife. While Dale can still shower and look after herself, her health is always in the back of Ken’s mind. Despite life’s hurdles, Dale and Ken no longer feel angry or devastated and instead try to live their lives as normally as possible. Do you think there’s stigma surrounding people living with lung cancer?